Announced at E3 2009, The Last Guardian has since become one of gaming's biggest mysteries. The spiritual follow up to cult hits ICO and Shadow of the Colossus has been in development limbo for several years, skipping out on big conventions and breaking the hearts of millions who really want to play it. However, Sony continues to say that it is making "slow progress" on the game, despite coming up on two full years after the original promised release date. When asked by JeuxVideo.fr about a potential 2013 release date, Sony Worldside Studios big boss Shuhei Yoshida said he "can't promise." "The last time we talked about a date for The Last Guardian, we ended up disappointing many people. But I can say that the team is working hard on the project, particularly the engine…It is precisely due to the teams working on the technical aspect of the game that we have nothing tangible to show you today. 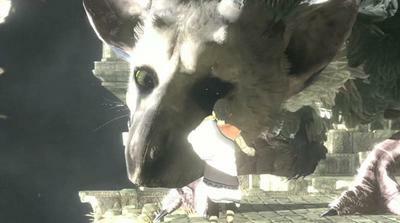 So now, I'm waiting for the right moment to introduce The Last Guardian, and speak with confidence of a release date." Despite the reasonable pessimism from many in light of key figures retiring and rumors of the game being rebuilt from the ground up, I still believe that this is one we are going to see before the end of the current console cycle. Any guesses as to which will come first, this or Final Fantasy XIII Versus?